Price including free name label with child's name £6.15. 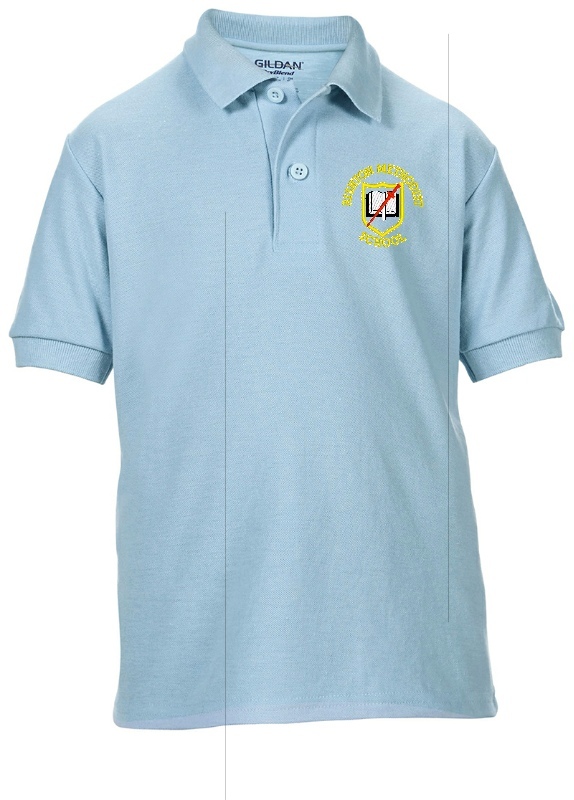 Gildan DryBlend™ youth double piqué polo shirt. DryBlendTM technology delivers moisture-wicking properties. Side seamed. Contoured welt collar and cuffs. Heat transfer label. Clean finished placket with reinforced bottom box. 2 Colour-matched buttons. Twin-needle bottom hem, CPSIA Tracking Label Compliant, Oeko-Tex Standard 100 certified. Wash in domestic or commercial machine in water not exceeding 40ºC, at normal setting. Use only non-chlorine bleach when needed. Tumble dry at medium heat (not exceeding 65ºC) at normal setting. Do not dry-clean.